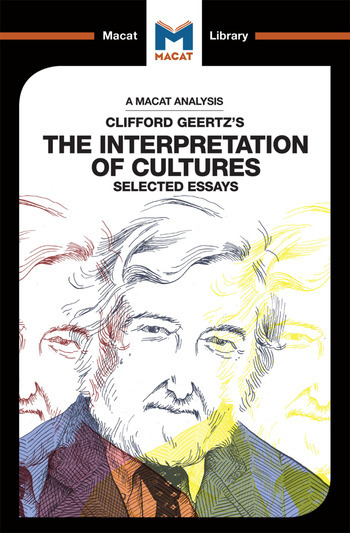 Clifford Geertz has been called ‘the most original anthropologist of his generation’ – and this reputation rests largely on the huge contributions to the methodology and approaches of anthropological interpretation that he outlined in The Interpretation of Cultures. The centrality of interpretative skills to anthropology is uncontested: in a subject that is all about understanding mankind, and which seeks to outline the differences and the common ground that exists between cultures, interpretation is the crucial skillset. For Geertz, however, standard interpretative approaches did not go deep enough, and his life’s work concentrated on deepening and perfecting his subject’s interpretative skills. Geertz is best known for his definition of ‘culture,’ and his theory of ‘thick description,’ an influential technique that depends on fresh interpretative approaches. For Geertz, ‘cultures’ are ‘webs of meaning’ in which everyone is suspended. Understanding culture, therefore, is not so much a matter of going in search of law, but of setting out an interpretative framework for meaning that focuses directly on attempts to define the real meaning of things within a given culture. The best way to do this, for Geertz, is via ‘thick description:’ a way of recording things that explores context and surroundings, and articulates meaning within the web of culture. Ambitious and bold, Geertz’s greatest creation is a method all critical thinkers can learn from. Dr Abena Dadze-Arthur holds an MSc in contemporary political sociology from the London School of Economics and a doctorate in culturally-rooted public management from the University of Birmingham. She is currently a lecturer in the School of Government and Society at Birmingham.